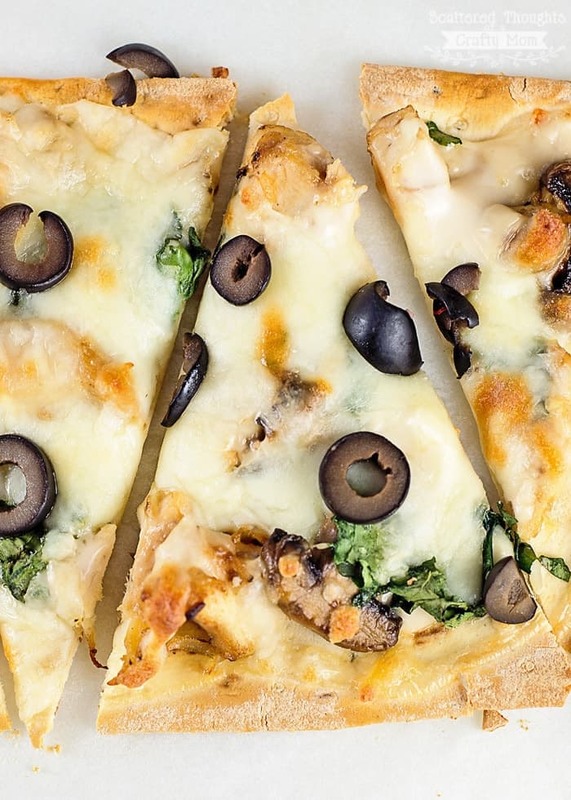 Looking for a delicious pizza recipe that’s a bit different from what you might normally make? 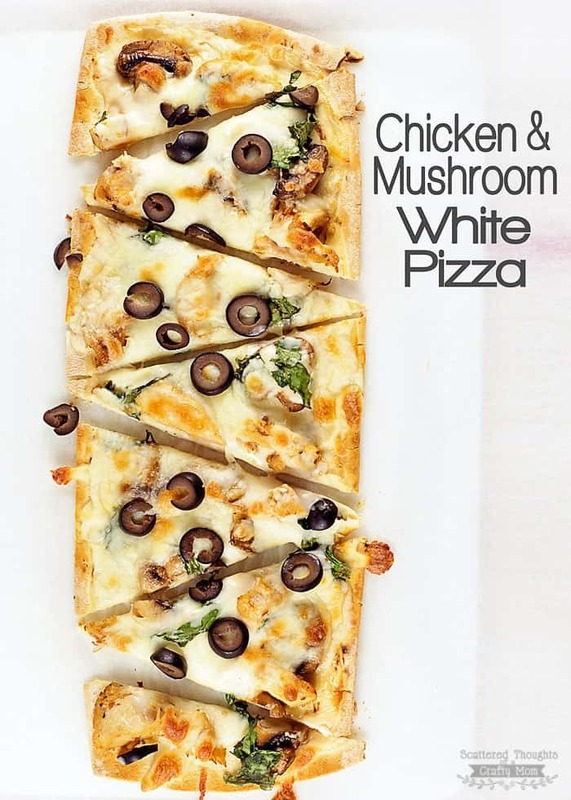 This Chicken and Mushroom White Pizza is sure to please! 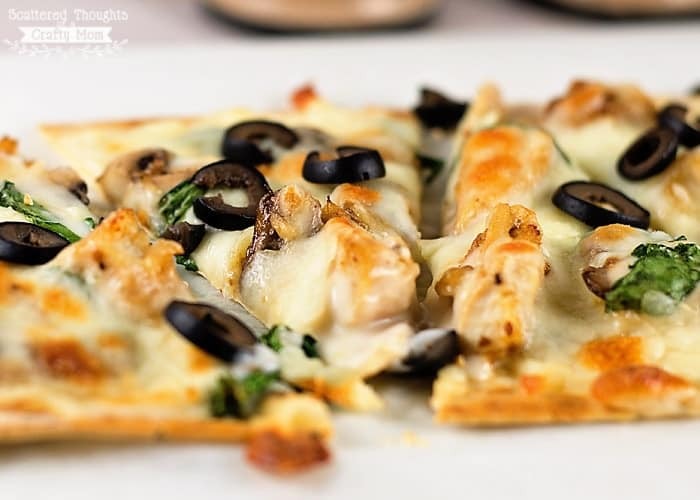 The flavors of alfredo sauce, sauteed mushrooms, garlic, and chicken come together to make one delicious pizza. 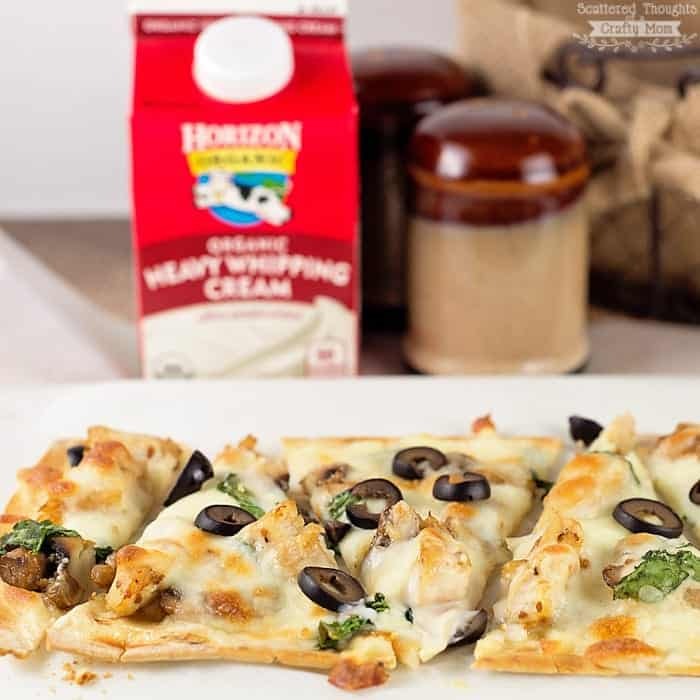 Thank you to Horizon for partnering with me to bring you this yummy recipe. My family is a bunch of total pizza fanatics! Doesn’t matter what kind, if you can put it on some sort of crust, layer cheese on top and call it a pizza, we’ll eat it! 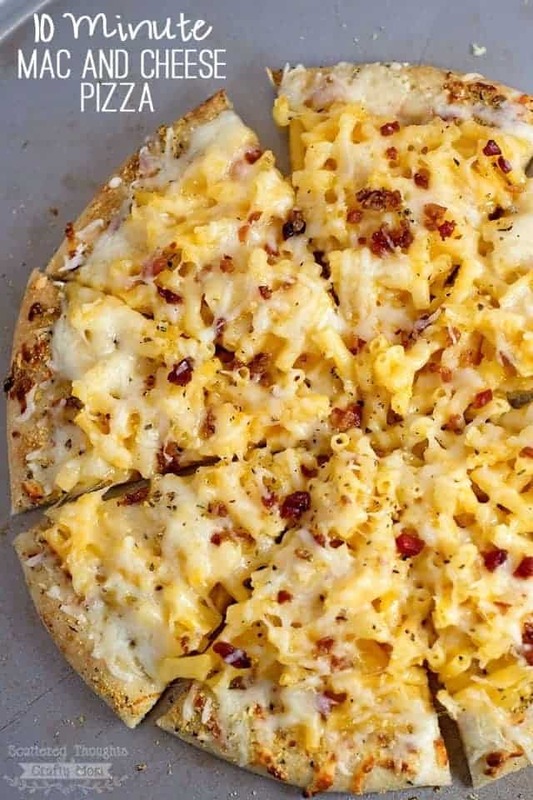 The kids aren’t discriminating at all when it comes to their pizza- they don’t care if it comes frozen in a box, a pizza buffet, take out, or a pizza I made from scratch. 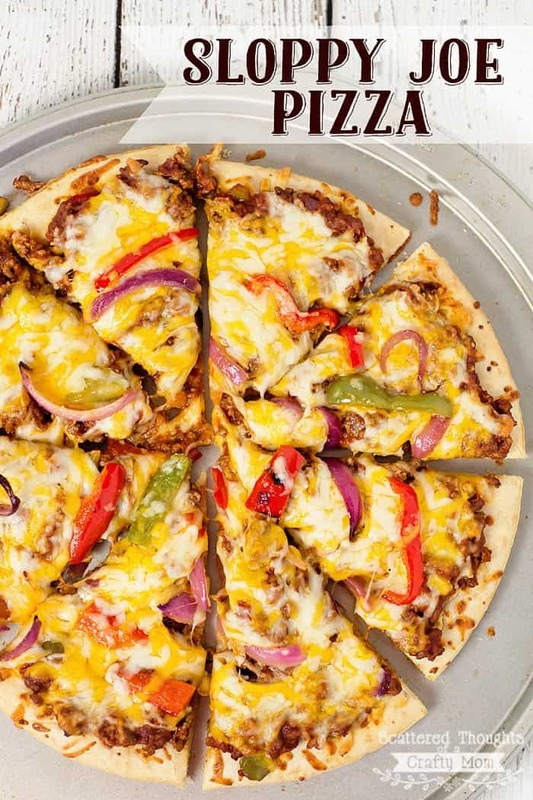 If it looks like a pizza, They will be happy! Probably why I like this pizza so much! 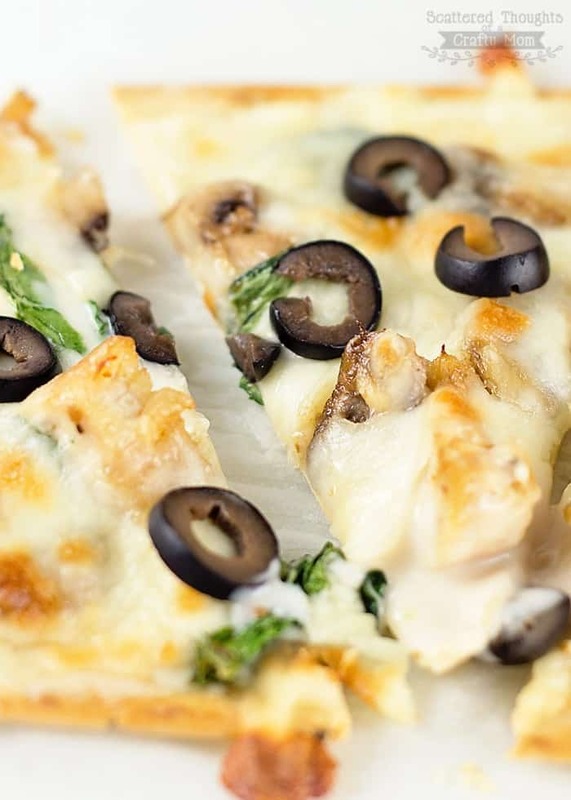 This pizza is loaded with all of my favorite’s: butter, cream, parmesan, chicken, mushrooms garlic and spinach. Yum! With this delicious sauce, I was even able to sneak in spinach and mushrooms on the pizza with no complaint from the peanut gallery! 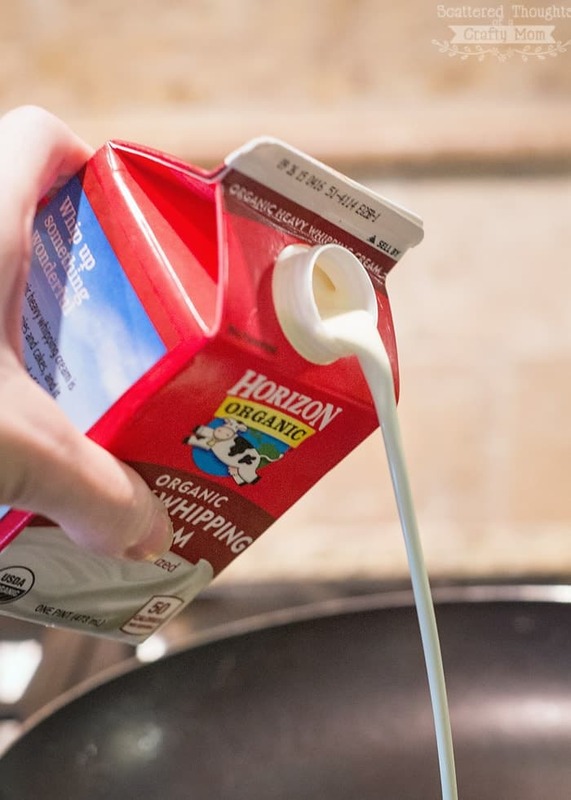 In a saucepan over medium heat combine whipping cream, butter and Parmesan cheese. Add butter and mushrooms to saute pan. Over med-high heat, saute mushrooms for 2 to 3 minutes. Add in garlic and saute another 3 minutes. Add diced chicken to pan, stirring around so the chicken absorbs all the leftover butter and garlic and is heated through. 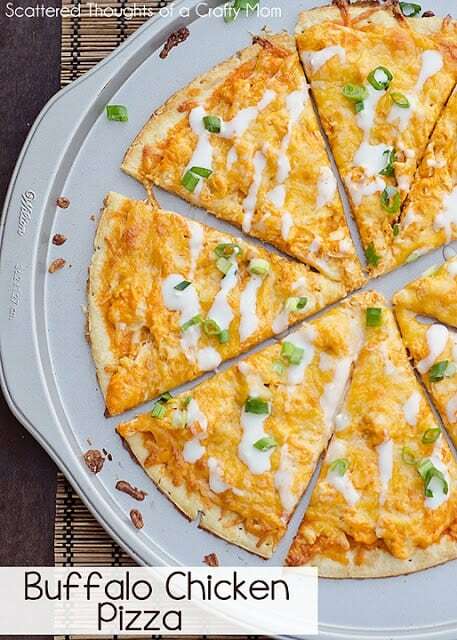 Spread alfredo sauce over pizza crust. Top with about 1/4 of the mozzarella. 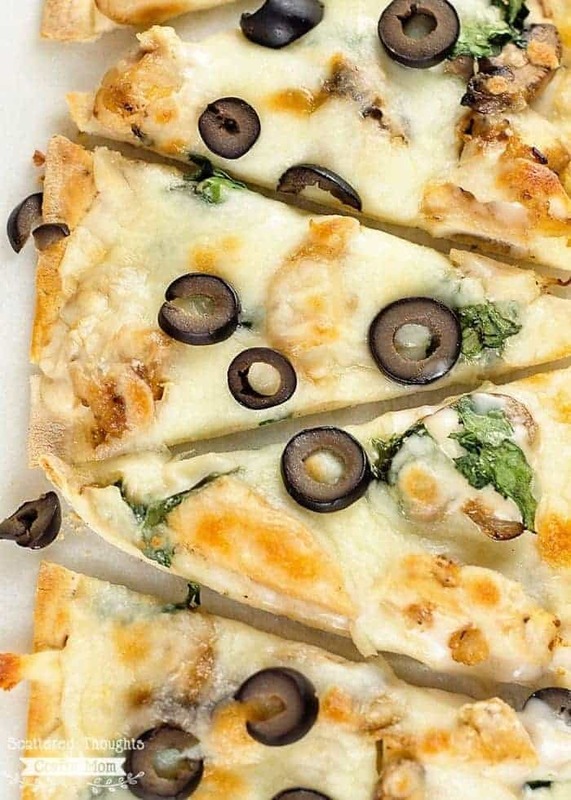 Top the sauce and cheese with the mushroom/chicken mixture and then add spinach. I love Horizon products! 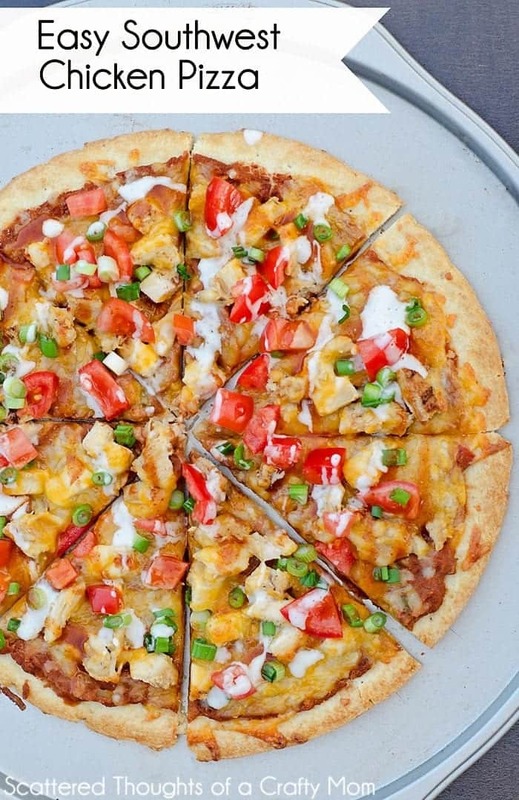 This pizza looks fantastic! oh my goodness, I'm so snacky right now and this post is NOT helping. Looks amazing! I know what I'm putting on the meal plan soon! This looks so good! I love their products, and buy them all the time! My boys will surely love this!! We have been making homemade pizza a lot here lately. Yum! Pizza is a major weakness of my. I love the chicken and alfredo! Great combo. This sounds amazing! 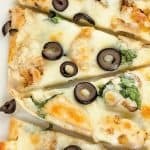 I love pizza of any kind! Seriously!! This is one gorgeous pizza!!!! Love it!